1. 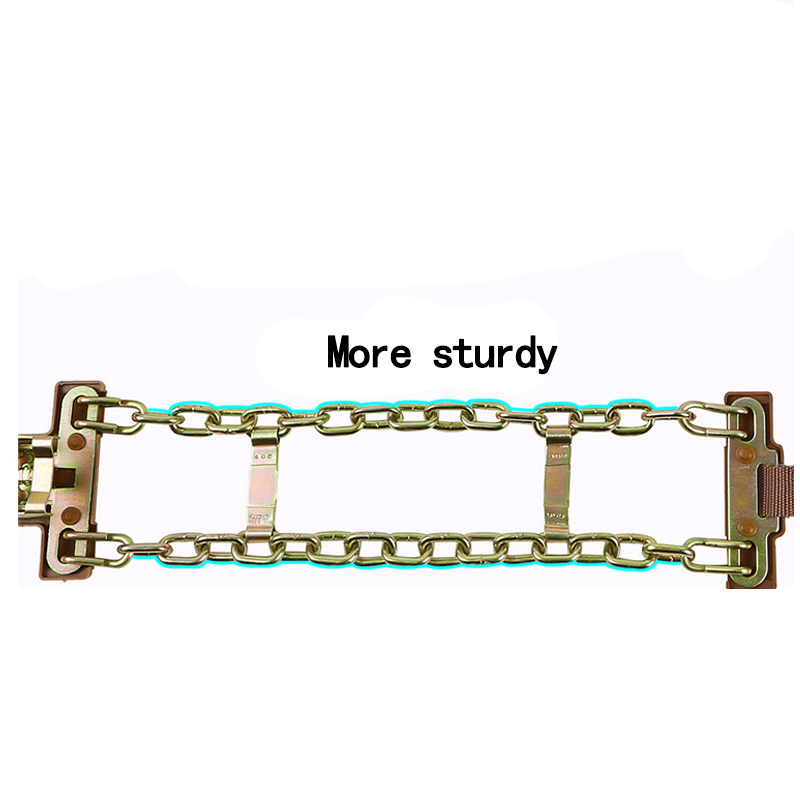 2 manganese steel main chains are resistant to the pressure, low temperature and wear. 2. A wear-resistant pad is designed to protect the tires. 3. The new tightening lock is solid and stable. 4. 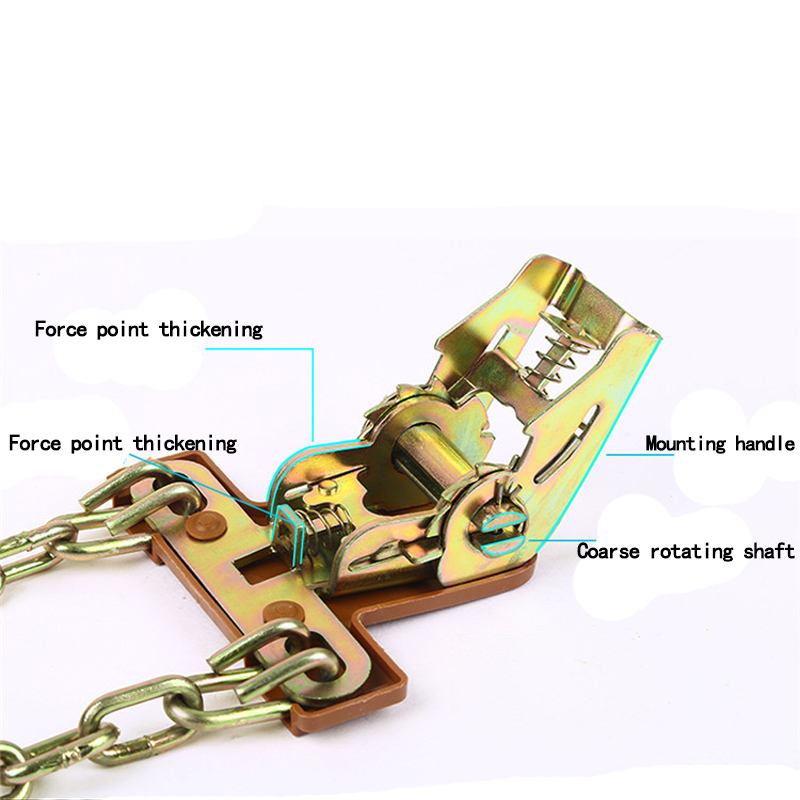 The strong safe engineering belt is resistant to the tension, low temperature and wear. 5. The chain closely fits the tires without gaps, which is very safe for driving. 6. Applicable Scope: ice road, snow road and mud road.